If you’re a city person, a foodie, or a fan of nascent art scenes—like we are—the bustling, growing city of Lima, Peru is worth at least two days. Visit on Friday and Saturday nights to see Lima at its most lively, and head out of town on Sunday, after a final ceviche brunch. 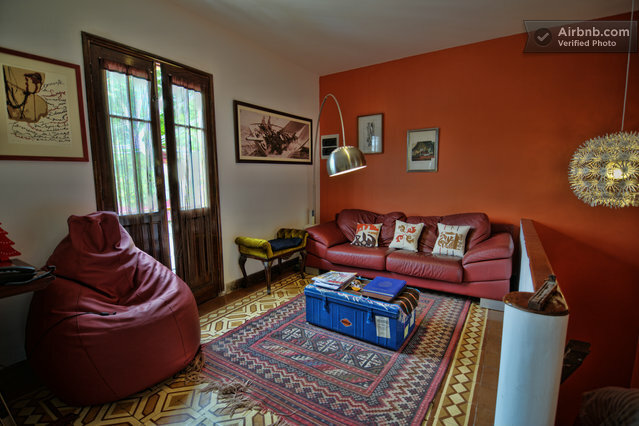 Casa Nuestra B&B (Barranco) – We found this wonderful place to stay through AirBnB. We loved the comfortable living room, the fruit-packed breakfast, and our en suite bathroom. Safe, quiet location, and close to the fast El Metropolitano bus. There is currently construction on the third floor of the building, so our one weekday morning was pretty loud. But that should pass soon. complete an nice indroducion and Fotos to the interesting destinos in Lima. Many Greetings from our Reise Team in Miraflores.